An in-depth review of Amsterdam's Paradise Seeds that covers its reputation, careful product selection, customer service, special offers, discounts, and more. Based out of Amsterdam, the weed capital of the world, Paradise Seeds is one of the oldest, most reputable, and well-established seed banks in the industry today. They set themselves apart as a breeder of powerful connoisseur strains – the result of many years of painstakingly selecting, testing, and breeding the finest genetics available on cannabis market. Because they only breed and sell their own carefully-chosen strains, Paradise Seeds isn’t a cannabis superstore. Rather, it’s one of the best places to go for customers who are looking for a top-notch selection of the highest-quality genetics in the land. The products at Paradise Seeds feature Cannabis Cup winners, a variety of THC and CBD ratios, plants with various growing needs, and strains for virtually every taste imaginable. Paradise ships all throughout Europe, but will only send its products to select countries outside of Europe. They do not ship to the U.S. If you’re in Europe and are lucky enough to be able to take advantage of the exquisite quality of Paradise products, keep reading to learn more about them! Don’t miss the Top Seed Bank Recommendations at the bottom of this page to find the best seed banks that ship worldwide. Luc Krol, the founder of Paradise Seeds, has been heavily involved in breeding cannabis varieties since the 1980s. His passion turned into a full-fledged seed company, and he officially kicked off Paradise Seeds in 1994. Krol’s mission is to produce only the best strains that are consistent in quality from one generation to the next. A seed that wins a Cannabis Cup one year will be exactly the same in quality five years down the road. Paradise Seeds’ promise is that they only sell the best seeds – never the second-best. The Paradise Seeds process begins with selecting the very best genetics and continues on through the entire growing process, from producing all seeds organically to growing them in a carefully-controlled environment. These are some of the many reasons why Paradise Seeds’ varieties are qualified for use by medical marijuana patients. In 2019, Paradise Seeds is pleased to continue the proud Dutch tradition of producing the finest cannabis in the world. With cannabis seed shops seemingly springing up everywhere, it’s nice to know that well-established shops like Paradise Seeds that have spent decades building their customer base and stellar reputation are still doing what they do best. Online Paradise Seeds reviews tell the story of countless customers who have been blown away by the quality and high-yield of their plants and can’t wait to try more. Paradise Seeds isn’t just beloved by the legions of customers who have been purchasing its products for years; it’s also been recognized by the best of the best in the cannabis industry. 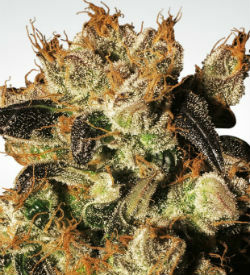 Since 1999, they’ve won several Cannabis Cups and other awards for their extraordinary strains. Especially when a seed bank has developed such a huge following due to its focus on high-high-quality genetics, it’s nice to see the team behind the brand actively involved in the cannabis community. At any given time, you can find the Paradise Seeds team attending cannabis-related events around the globe. This not only gives them the opportunity to teach people about their products and encourage them to try something new (whether it’s a growing technique or a strain); it also gives customers the opportunity to meet the smiling faces behind their favorite seeds. 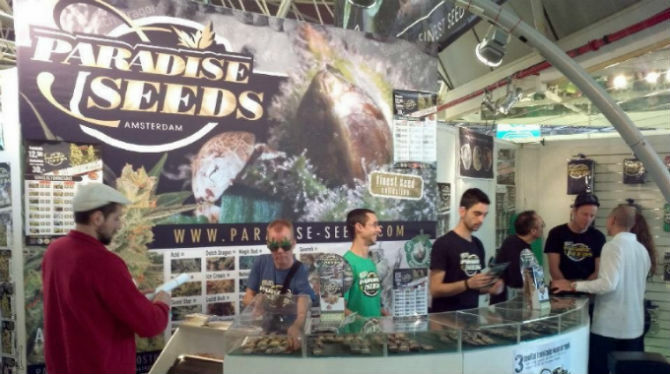 You can catch the Paradise Seeds team at events such as Cultiva, Cannafest, Canapa Mundi – the International Cannabis Fair of Rome, the Indica Sativa Trade Show in Bologna, and many more. As a top medical cannabis seed breeder, you can also find them at events such as Expomede Weed that are focused on the medical sector of the cannabis industry. Because Paradise Seeds is a seed breeder, they carefully test and select each strain before offering it for sale to their customers. This helps ensure that their seeds produce beautiful plants with top-notch genetics. It also means that they only carry an exclusive selection of strains. If you’re looking for a cannabis superstore, you’ll have to look somewhere else. For a carefully-chosen lineup of products that will please even the most seasoned cannabis connoisseur, Paradise Seeds has you covered. As of 2019, Paradise Seeds carries a few dozen strains. 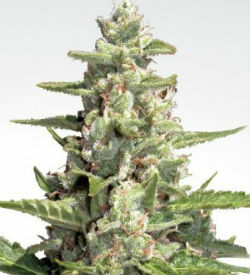 They’re mostly made up of strong F1 cannabis hybrids created by crossing stable strains. 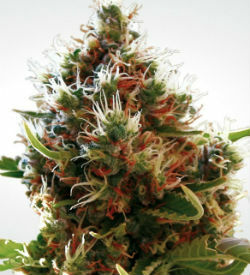 They carry a nice selection of feminized seeds, autoflowering seeds, and regular seeds. Their lineup also features a few different mixed-seed packs for customers who would like to add a bit of variety to their grow. Some of the top strains carried by Paradise Seed shop include Sensi Star, White Berry, Lucid Bolt, Jacky White, Ice Cream, Californian Gold, and Original Cheese. In addition to seeds, you’ll also find some pretty cool Paradise Seeds-branded apparel, as well as accessories such as weed grinders and rolling papers on their merchandise page. While there may not be the huge seed selection at Paradise that you’ll find at some of the huge cannabis seed emporiums, you can rest assured that if you find a strain you love today, you can buy it again months or even years down the road and still enjoy the same consistent quality. Paradise Seeds reviews mostly feature customers who are extremely pleased to have found a seed breeder with excellent germination rates, a nice selection of strains for a variety of tastes and growing conditions, and truly high-quality seeds. 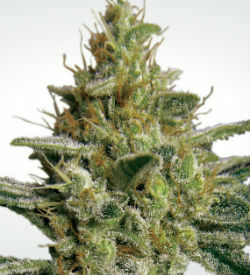 The seed bank has developed quite a following with its reliable, high-potency, fat bud-producing strains. This is in line with the company’s goal of only offering the best seeds. If customer feedback is any indication, Paradise Seeds is succeeding at that. The shop guarantees a 95% germination rate on its seeds, which is impressive and shows that Paradise truly stands behind its products. One sign of a truly reputable seed bank is the ability to easily get in touch with their customer service team, and Paradise Seeds makes it a snap to reach their representatives via multiple channels. Their contact page features their phone number, email address, and their shop address (should you happen to be in Amsterdam). There is also a contact form you can fill out in order to wait for a response. Representatives from the Paradise Seeds seed bank are quite active on 420-related forums, answering customers’ questions and addressing concerns. They also maintain a very active social media presence, interacting with fans and customers and helping guide people to solutions if a problem arises. They’re friendly, helpful, and very quick to respond whenever someone reaches out to them with any issue. If you’re thinking of reaching out to customer service with a question about germinating your seeds, it’s worth taking the time to look through the Paradise Seeds website first. There are detailed grow reports on various strains as well as an incredibly helpful grow info section with tips and answers to frequently-asked questions for first-time growers. People hoping to save a bit of money on their beans will often head to the internet looking for “Paradise Seeds discount codes,” “Paradise Seeds coupons,” and such, and by entering YYBHTFCM as the coupon code upon checkout, you can save 10% off your entire order. In addition to this great coupon code, the company also runs amazing promotions that include discounts, giveaways, and free seeds. The Latest News section (which can be found at the bottom of the Paradise Seeds website) has links to ongoing special offers and promotions. In addition to their special promotions for all customers, Paradise Seeds has a special program for its medical customers. Through the Paradise Seeds Medical Cannabis Program, customers who purchase medical cannabis seeds through the company receive a 50% discount on all seed purchases. To qualify for this program, medical customers must provide Paradise with an ID and medical documentation such as a prescription, a doctor’s recommendation for medical cannabis, or a medical marijuana card. Paradise Seeds offers this program because they believe that growing medical cannabis for personal use should be a human right and want to assist customers who rely on cannabis to relieve their medical conditions and symptoms. For a special promotions and offers on a simply massive selection of seeds that ship worldwide, check out the Special Offers Page at MSNL Seed Bank. The site features separate sections for feminized, autoflowering, and regular seeds. Within those sections, you can further filter the results by THC and CBD content as well as flowering time. For those who wish to skip right to the chase and find a specific strain, the site has a nice search feature to help you find anything you’re looking for, from indicas or sativas to skunk varieties of cannabis. Each Paradise Seeds strain page features an extremely detailed description of the strain, its features, and its effects, as well as information about THC and CBD content, ideal growing conditions, and harvest time and yield. You’ll also find customer reviews for that particular strain. Paradise Seeds ships throughout all of Europe, but sadly for those outside of the EU, it only ships to select non-European countries…and the U.S. is not among them. The customer service team asks that you email them in advance to find out if seeds can be shipped to your country. When you place an order, you’ll receive a confirmation to let you know whether or not your order can be processed and shipped to your location. When shopping with Paradise Seeds, you have the choice of a few different shipping options. For €5, you can have your package delivered by regular mail. €10 pays for registered mail within the EU, while €16 will cover registered mail outside the EU. The registered mail options include a shipping registration number for tracking purposes. Registered mail within the EU comes with guaranteed delivery, which means that Paradise Seeds will replace an order that gets lost in transit. While tracking is offered for registered mail orders headed outside the EU, guaranteed delivery is not available for these orders. Shipping within the EU takes a few days and a bit longer for countries outside the EU. Paradise Seeds ships its products in a discreet envelope addressed from “Paradise Products B.V.” If you need the products shipped in a different manner, contact the customer service team and let them know. The seed bank accepts a variety of payment options, including iDeal, Visa/Mastercard (as long as the card is 3DSecure enabled), bank transfers, Bitcoin. You can also pay with cash by mailing it to the address provided on the Paradise Seeds order information page, but you assume all risk if the cash gets lost in transit. In case of any problems with your order, Paradise Seeds suggests always keeping the registration number on the back of your product. If any issues arise, contact them and give them your order details so they can make it right. With its intense focus on the finest genetics and highest quality strains, it’s easy to see why Paradise Seeds has developed a reputation as one of the best seed banks in the world. With nearly three decades of experience under their belt, they’ve certainly had time to hone their craft. Paradise Seeds is not the place to come if you’re looking for a massive selection of seeds; rather, it’s a shop for cannabis connoisseurs to find the best of the best. What Paradise Seeds may lack in selection it more than makes up for in its mind-blowing genetics and seed quality. Its user-friendly website and responsive customer service are simply the cherry on top of a seed shop formula that continues to be successful. The only downfall of Paradise Seeds is its extremely limited shipping range. If you’re in the EU, you can take advantage of having Paradise products shipped right to your door. People in many countries outside the EU (including the U.S.) are out of luck for the time being. This is something that many customers hope to see changed in the months and years to come so that people throughout the world can enjoy the finest of Dutch cannabis! 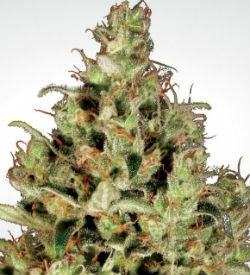 Marijuana-Seeds.NL (MSNL) – A high quality seed breeder, this British seed bank features a large variety of strains. They have wonderful customer service as well as worldwide stealth shipping and amazing promotions. Payment options are Bitcoin and credit cards; free seeds are shipped out with every order. Crop King Seeds – Crop King’s variety may not be able to match that of MSNL, but what they do carry is very high quality. They have an excellent germination guarantee that will give new buyers peace of mind, as well as a conscientious customer service team and worldwide stealth shipping. Payment options are Bitcoin, PayPal, and credit cards. Ministry of Cannabis – Headquartered in Barcelona, Spain, Ministry of Cannabis has spent years breeding an exclusive number of strains to perfection – from tried-and-true favorites to exciting new strains. They ship worldwide and accept payment in Mastercard, Visa, Bitcoin, bank transfer, moneygram (for orders of €100 or more), or cash.